Quality reproduction of one of the most sought after detail and safety related products required for your Camaro or Firebird. 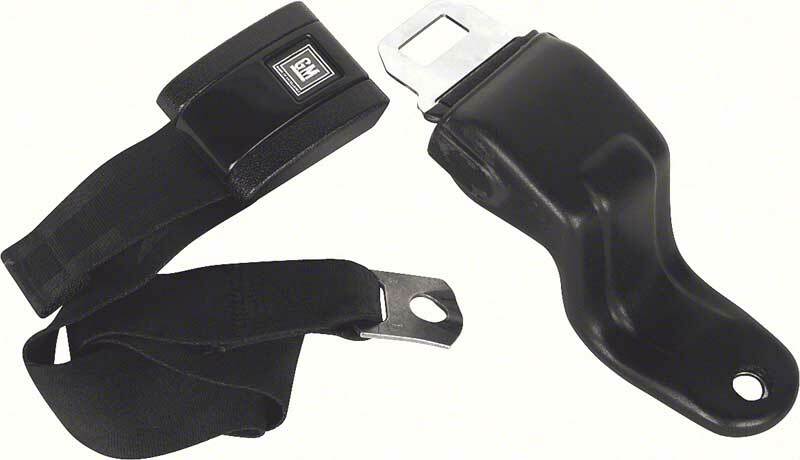 When General Motors introduced the F-body platform, many new safety features were introduced along with it, including these retractable front seat lap-belts. 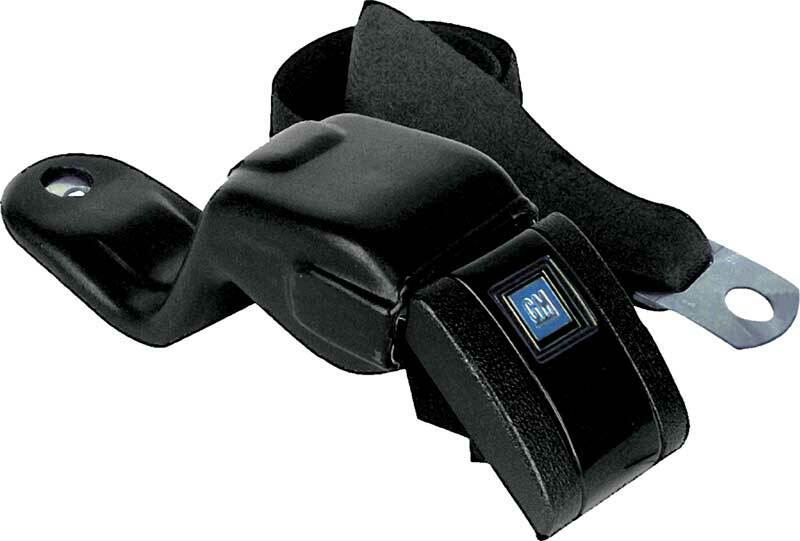 This reproduction seat belt assembly features a high grade, blow-formed ABS retractable belt housing, an original-style webbed design belt featuring the correct patterned stitching and a correct seat belt retractor/roller assembly. 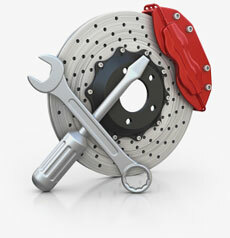 The only reproduction on the market that features a completely authentic design! Available in black. 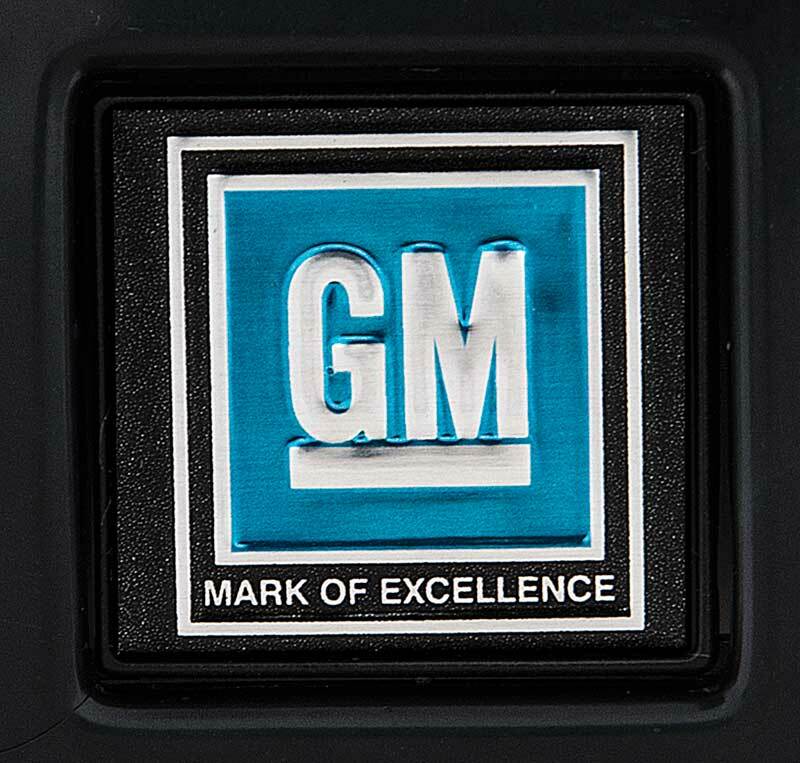 Features the "GM Mark of Excellence" embossed decal found on 1967-69 models with standard interior. Note: Sold individually (for 1 seat). 2 belts required per vehicle. Seat belt attachment bolts sold separately.